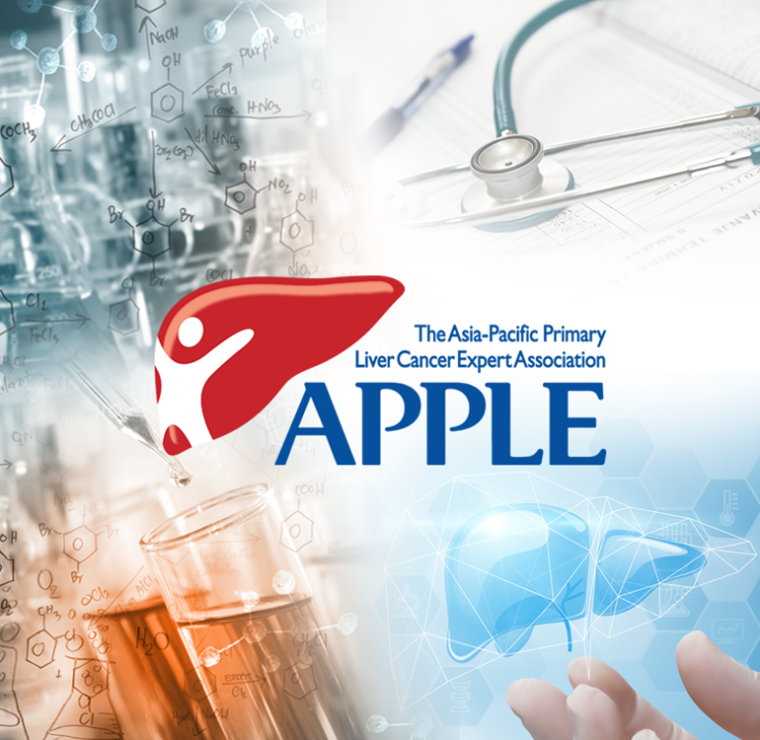 The Asia-Pacific Primary Liver Cancer Expert (APPLE) Association was established in 2013. The main objective of the association is to promote the scientific advancement of and education in liver cancer management in the Asia-Pacific region, where 80% of global liver cancer deaths occur, including the exchange of information and the development of consensus in the field of liver cancer. 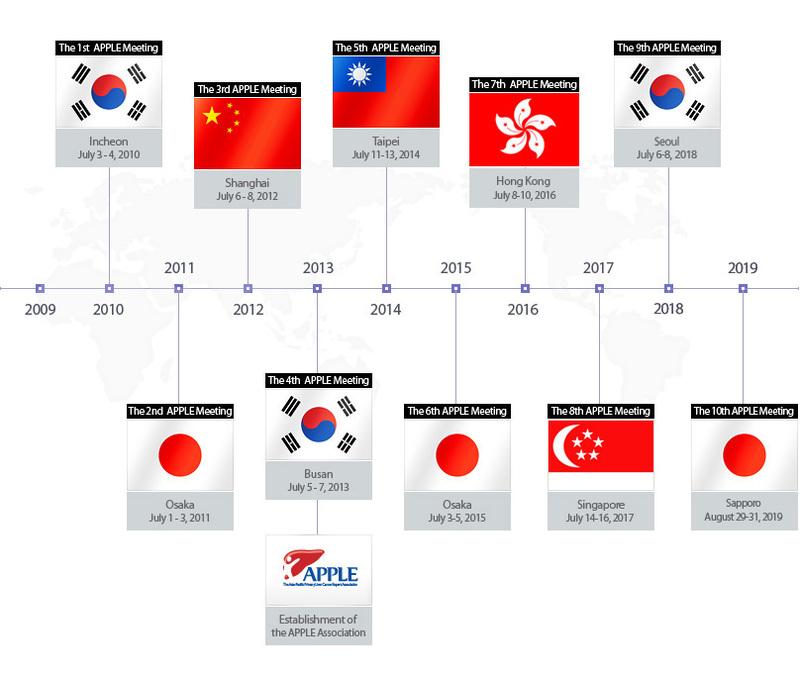 The APPLE convened for the first time in 2010 and was attended by professionals who have abundant clinical experience in medical treatment of liver cancer in the Asia Pacific region. It was our hope that this meeting would be of substantial help to liver cancer treatments through the exchange of their clinical experience and knowledge. At the same time, by inviting internationally renowned experts in the field of liver cancer, we intended to determine the procedure for officially and internationally recognizing the treatment presently being practiced at clinics in the Asia Pacific region. We also sought to introduce new clinical studies now in progress in the field of liver cancer to overcome the problems yet unsolved and join forces with them to explore new roads. Following the extremely successful 2018 Seoul meeting, we are looking forward to our next APPLE gathering in Sapporo, Japan (29-31 Aug. 2019), hosted by Prof. Norihiro Kokudo and Prof. Akinobu Taketomi. Late summer in Hokkaido is the most picturesque season, with flowers blooming like brocades. As our meeting will fall in the popular season for tourists, please make sure to reserve dates on your calendar and book your flights at your earliest convenience. Once again, I would like to thank Prof. Jinsil Seong and her outstanding Korean colleagues for having hosted such a wonderful meeting in Seoul. All the feedback was overwhelmingly positive. During the meeting, many participants urged our organization to compile APPLE Practice Guidelines for HCC – guidelines that can truly reflect the modern art of surgery, locoregional therapy, and systemic therapy in the Asia Pacific region. Prof. Masatoshi Kudo has kindly agreed to take on the difficult job, and I am sure he will need plenty of help from you. APPLE is striding forward to become an eminent academic society. To ensure our success and leadership continuity, the governing board has unanimously nominated Prof. Jinsil Seong for president-elect of APPLE (2019-2021). We extend our biggest congratulations to Prof. Seong! We will soon be celebrating the 10th anniversary of APPLE in Sapporo next year. Looking back, we started ten years ago as a small group of experts with sincere camaraderie, but now we have become a big family of multi-disciplinary experts fighting together against HCC. The whole field is moving fast. APPLE guarantees that all its members will not only keep abreast of all the cutting-edge knowledge, but will also play an important role in spearheading the way for tomorrow. I look forward to seeing all of you in Sapporo next year. © Copyright 2018, APPLE, LTD.